I'm not a decorator, but I love decorating my home and I've learned a lot from my good friend, Pinterest. 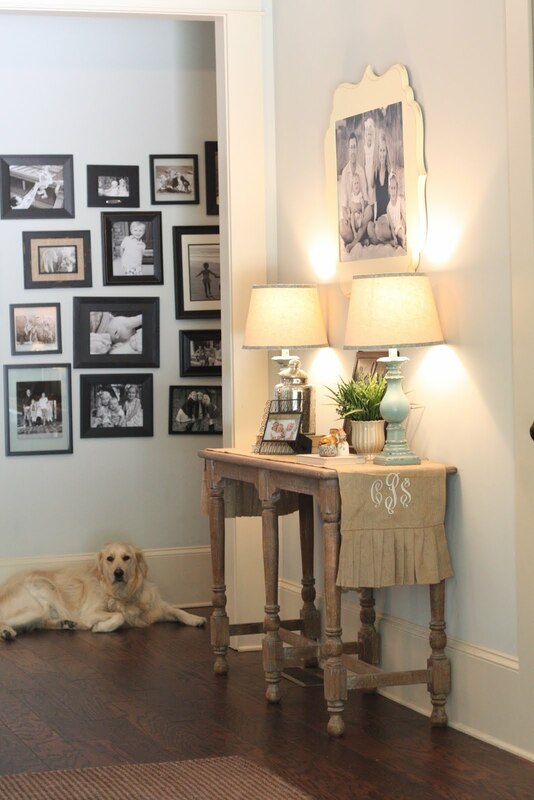 Anytime I have a room or space I want to fix-up, I always turn to Pinterest. 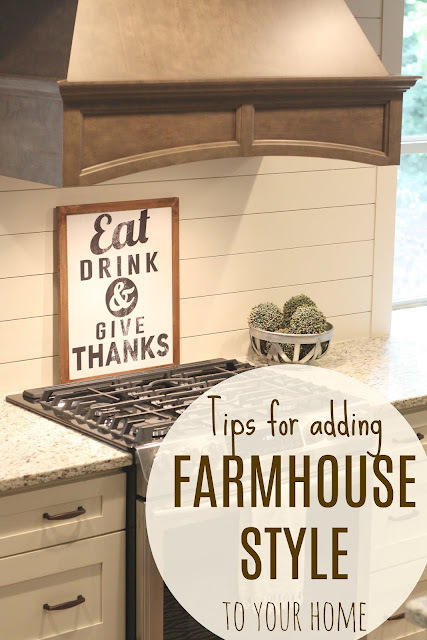 I love the casual farmhouse style and after studying lots and lots of pictures, magazines, TV shows and model homes, I've come up with a few different tried and true ways to incorporate that style into any part of your home! 1. Mix it up. I think one thing that always stands out to me is a mix of materials. Wood, metal, glass, burlap and lots of layering. I like to put things in threes, so it makes it more interesting, fills dead space and gives you lots to look at! I use burlap runners or place mats to layer and I always use books to give frames and other pieces some height. 2. Add something green. 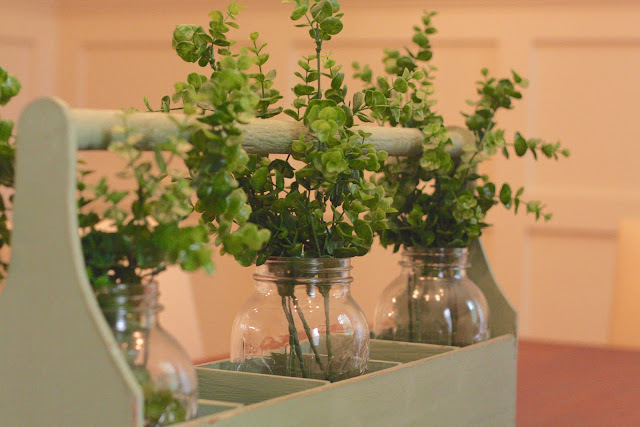 It's no secret that I LOVE using greenery in my house. Something about it just makes everything look and feel more welcoming to me. I love boxwood stems in fun containers like pitchers or metal buckets and all sorts of orbs in metal baskets, bowls and dishes. Commercial Silk is a great resource for all sorts of boxwood items both big and small. 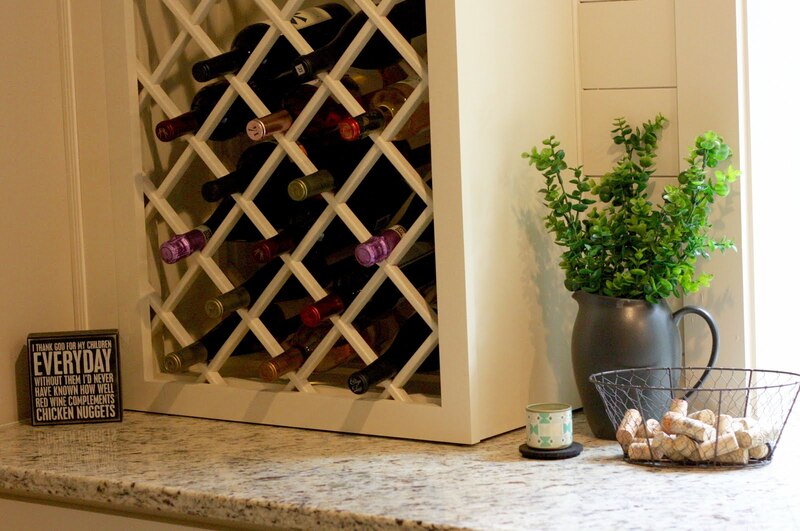 They have items that could be used for homes and also for commercial spaces. 3. Use old and/or meaningful items. 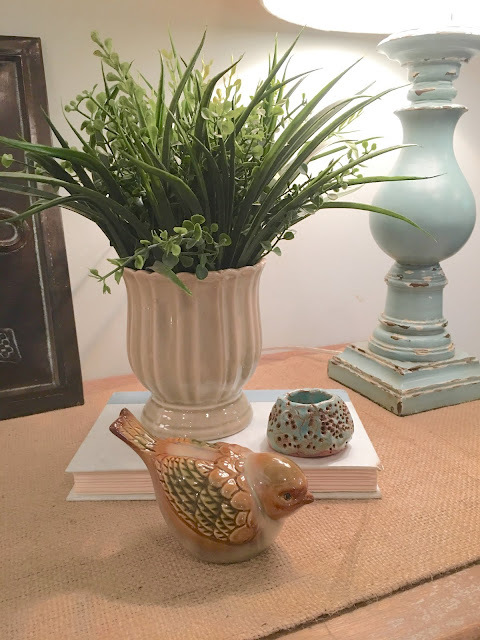 I like mixing in old pieces (or even things that are new that look old) to give my house character and also items that are meaningful to my family. 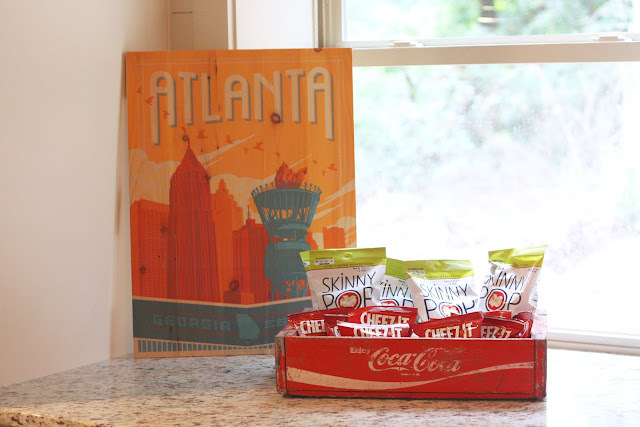 This old Coca-Cola crate I found in my basement left from previous owners has been used all over my house and now is in the basement holding snacks! 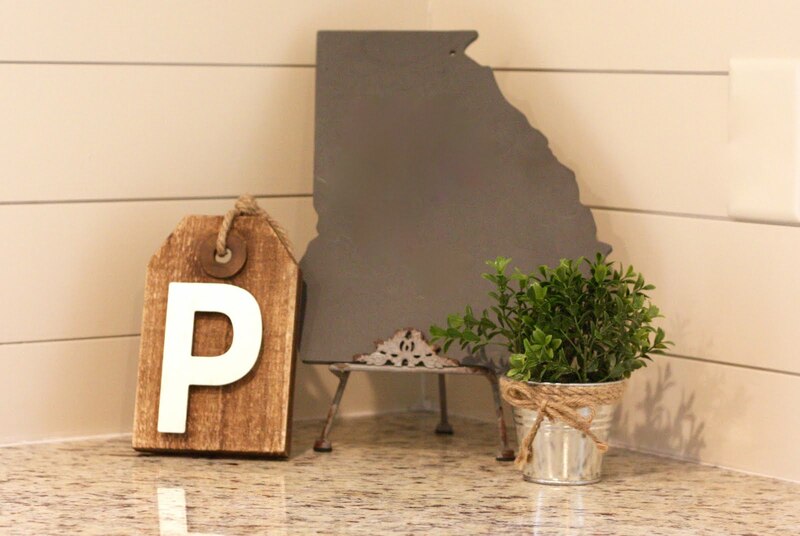 I found this cute sign at HomeGoods this week and loved it because it is the city we love and goes along perfect with the Coca-Cola crate since Coke is an Atlanta based brand. 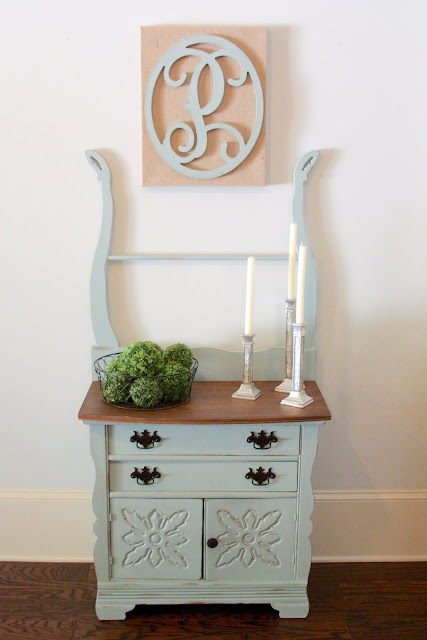 This antique washstand was passed down in my family and the burlap initial canvas above it is another example of layering and mixing materials. It just makes everything more interesting to look at. 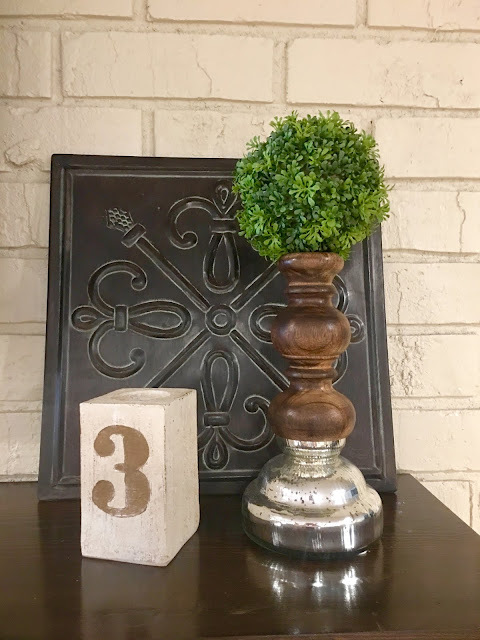 This little random wooden block with a 3 on it was on clearance for less than $3 and I loved it because I have 3 kids so it meant something to me. Also here you can see greenery, wood, metal mercury glass and my grouping in 3's. 4. Neutral colors. 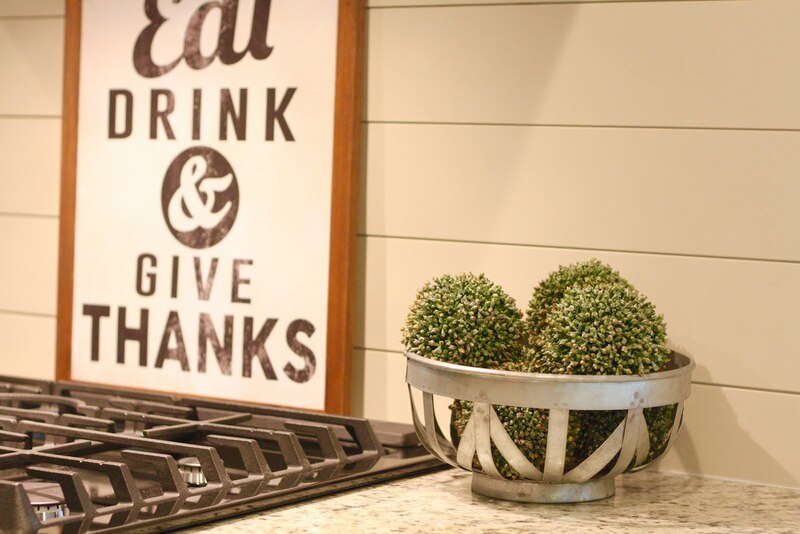 For the most part I like to decorate using neutral colors. 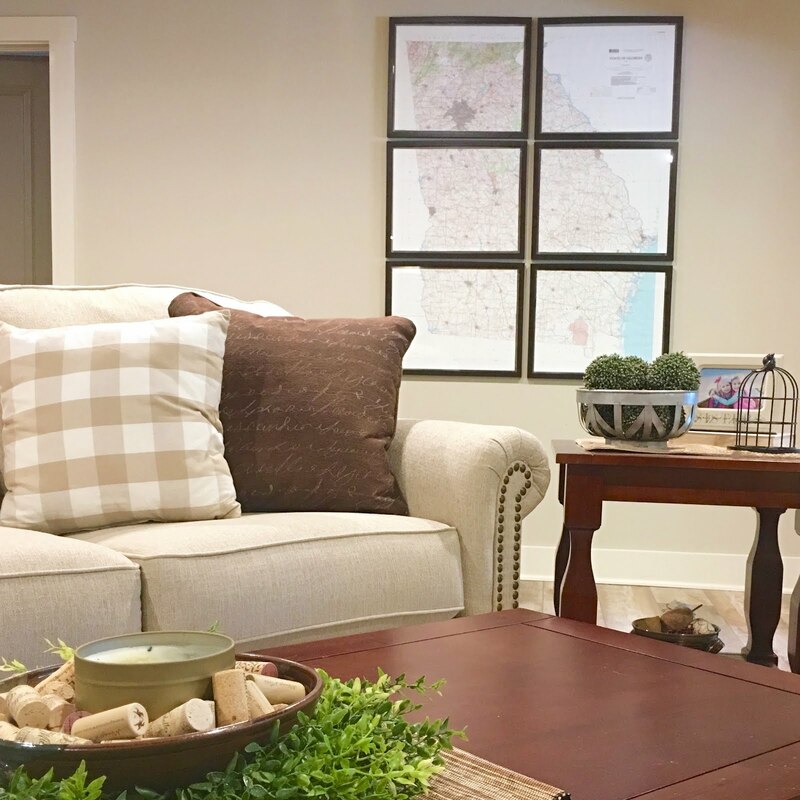 It makes it easy to add in pops of color with pillows or other decor and it also makes it easy to move things around and use them in different places in your home. My basement is still a work in progress, but we are getting closer to completing it and I can't wait to share pictures of everything when I'm done! Thank you to Commercial Silk for providing the Sedum Orbs for review. All thoughts and opinions are my own.